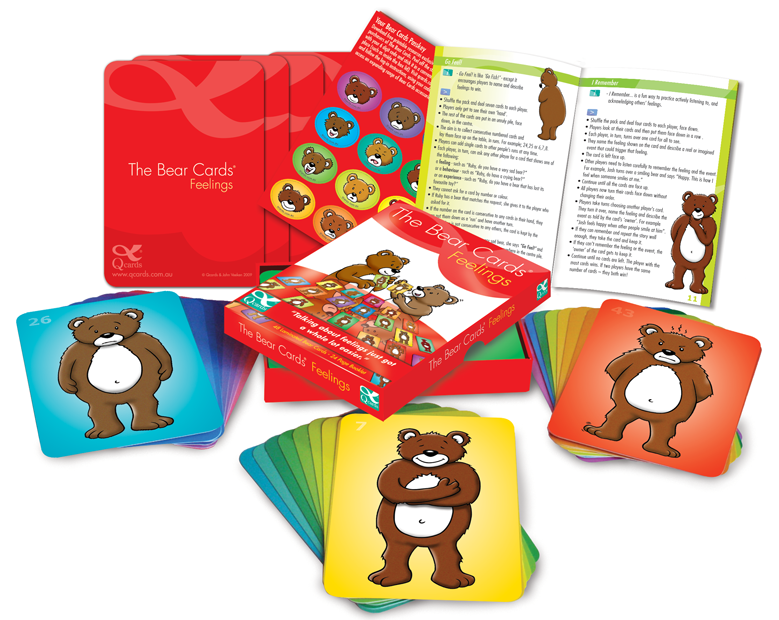 The Bear Cards® is a beautiful, high quality set of feeling cards featuring 48 bear characters using both facial expression and body language to show a wide range of emotions, without words. Thousands of therapists, teachers and child welfare workers across the world have used The Bear Cards in assisting children to recognise, identify and talk about feelings. Click Here to see the booklet which accompanies each set of The Bear Cards ®.